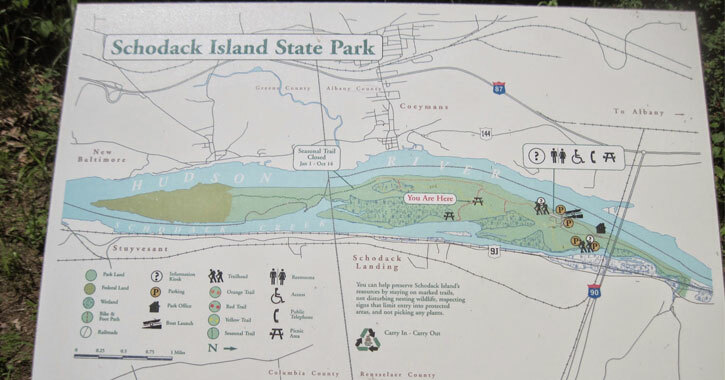 Situated south of Albany on the eastern shores of the Hudson, Schodack Island is a great place to hike along the eight miles of trails, picnic at the many areas with tables and grills, and just enjoy the beautiful outdoors. This 1,052 acre park is home to blue herons, bald eagles, and cerulean warblers. These rare birds can be found within the Bird Conservation Area.